The Medicine Warrior Workbook by Crooked Arrow Jackson is available FREE OF CHARGE here, available now in its first printing as an intensive 35 page workbook. 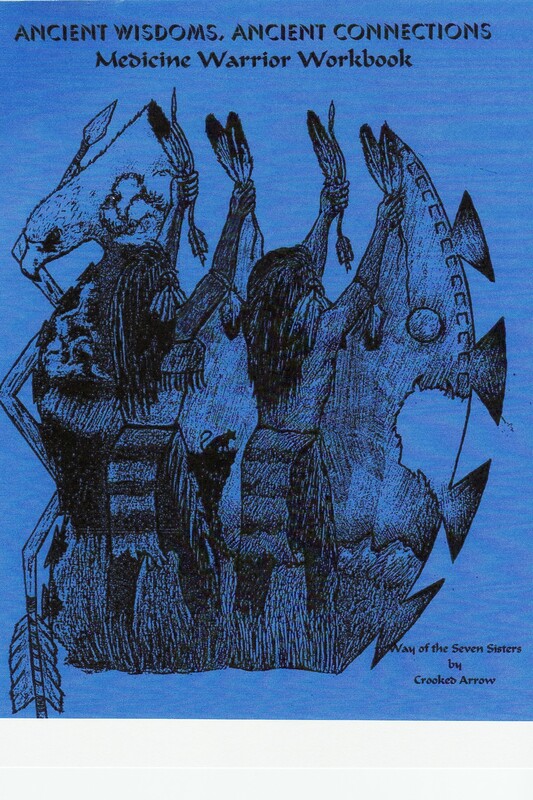 When Mother Earth was young and all her children walked together as one, the Great Spirit sent the Guardians of the Seven Directions to help guide them. The Guardians were seven beautiful spirit women warriors sent to different areas of the world. They were sent to help the creatures of that area learn the sacred ways of balance and uniformity. The word warrior in the beginning of time meant guardianship and keeper of wisdom. 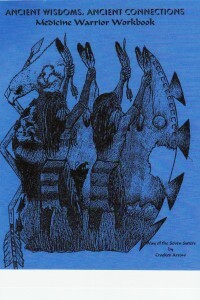 Due to human greed and abuse of sacred energies and ceremonies, these Seven Sisters left the planet and went back to the stars. You can see them in the sky on a clear night; they are the constellations called the “Seven Sisters” or the Pleiades. Several years ago these Ancient Ones visited a traditional medicine woman living in Arizona; they came to her for several days, showing her the sacred ways and ceremony of the Medicine Warrior Path. The Seven Sisters instructed her on how this ancient rite can again be part of human development and experience. These Ancient Ones have again returned to Mother Earth to help bring balance during these troubling times of chaos and confusion. The true Medicine Warrior Way is a journey filled with a continual awakening of spirit to its highest achievements. It is the path of balance and uniformity. It is a road where one learns that spirit is one’s true purpose. That the mind is the builder of one’s life, while the body is the facilitator of what the mind and the spirit have manifested in the physical; we are truly body, mind and spirit. The Medicine Warrior Way is one of continual protection of children, our elders, animals, plants, the earth and the sacred old ways. This workbook, containing all of the information previously taught in workshops, will assist you in understanding the Medicine Warrior Path.